The Nissan Kicks has been priced at Rs. 9.55 lakh for the base XL petrol variant, going up to Rs. 14.65 lakh for the top-end XV Premium+ diesel variant, all prices ex-showroom, Delhi. The new Nissan Kicks will go up against rivals such as the Hyundai Creta and the Renault Captur. 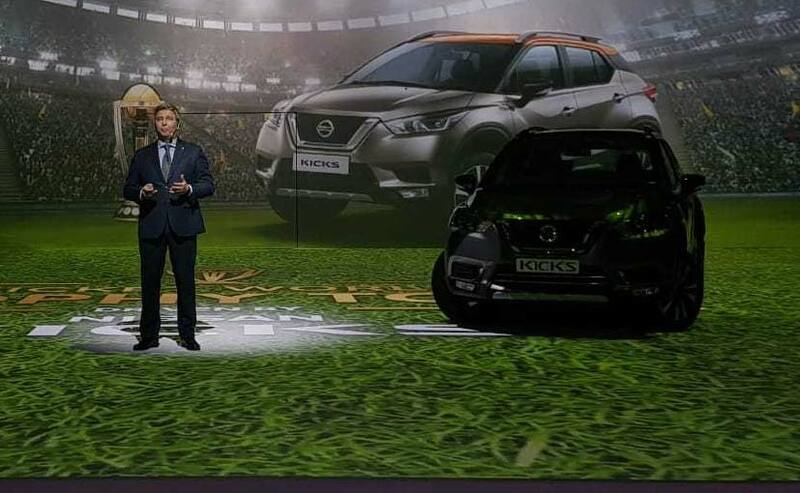 The 2019 Nissan Kicks has been launched in India with prices starting at ₹ 9.55 lakh for the base Kicks XL petrol variant, going up to ₹ 14.65 lakh for the top-end Kicks XV Premium+ diesel variant, all prices ex-showroom, Delhi. Globally, the Kicks is built on the Micra platform but for India, Nissan will be manufacturing the Kicks on the Renault Duster's M0 platform but with a few updates. Without a doubt, the new Kicks is a looker! We really like its sharp, upright styling with edgy lines. The V-shaped grille with a thick chrome border and those sweptback headlamps give the Kicks a rather stylish appearance. Viewed in profile, the crossover stance with the contrast roof and sleek body add a youthful and a sporty demeanor to the SUV. 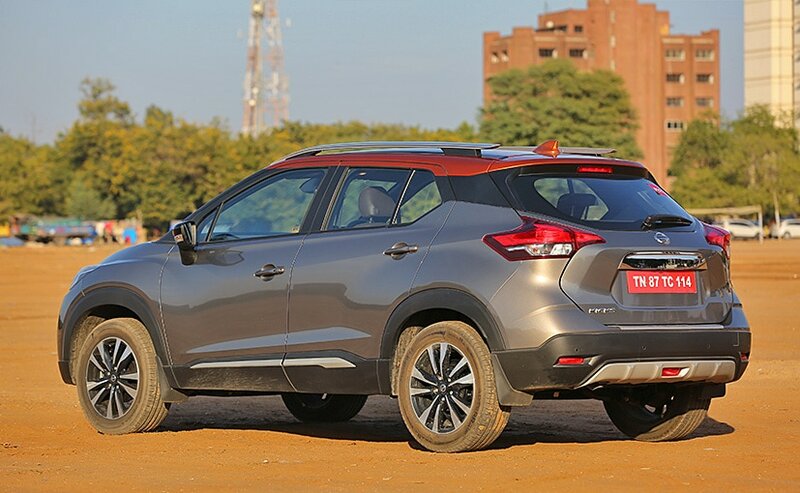 The 17-inch alloys along with a ground clearance of 210 mm add that SUV flair to the overall crossover-like stance. Bookings for the new Nissan Kicks have already begun. You can book one for ₹ 25,000 at any Nissan dealership or book it online as well. 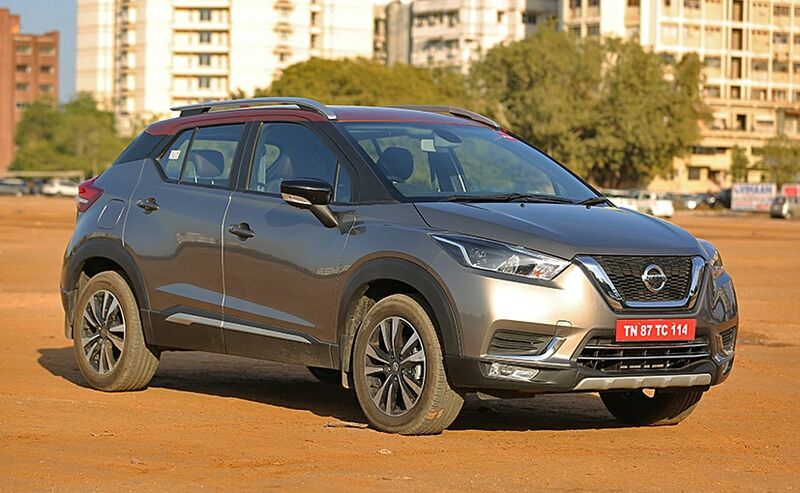 Here are Nissan Kicks Variants' prices in India. The Kicks also gets a whole bunch of features starting with the LED projector headlamps, which light up the roads very well in the dark. The headlamps are automatic and the fog lamps up front also light up at corners. 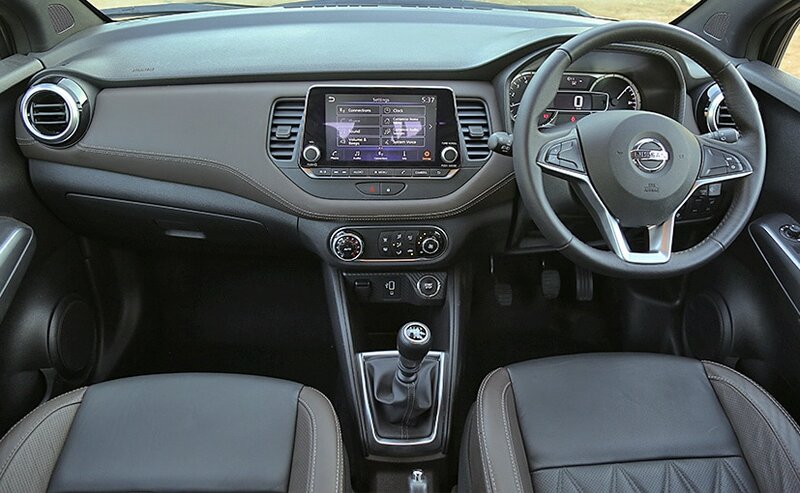 Step inside and you see the sumptuous leather upholstery all around the cabin which oozes premium-ness. There is a lovely 8.0-inch touchscreen infotainment system that offers smartphone integration in the form of Android Auto and Apple CarPlay. There is auto climate control on offer along with cruise control as well. In terms of safety and driver assists, Nissan offers 4 airbags, ABS with EBD and brake assist, hill start assist and a first-in-segment 360 degree camera view too. The Nissan Kicks is larger than its biggest rival, Creta on all fronts. The Kicks has a length of 4,384 mm, a width of 1,813 mm, height of 1,651 mm and a wheelbase is 2,673 mm. In comparison, the Creta has a length of 4,270 mm, width of 1,780 mm, height of 1,665 mm and the wheelbase on the Creta is 2,590 mm. and then, the Kicks can accommodate 400 litres of luggage in the boot. The Nissan Kicks uses the same 1.5-litre petrol and 1.5-litre K9K diesel engines as on the Duster and in the same state of tune. The petrol engine makes 104 bhp and 142 newton metres of peak torque while the diesel engine makes 108 bhp and 240 newton metres. The petrol engine gets a 5-speed gearbox while the diesel gets a 6-speed unit. There are no automatic options as of now. The Nissan Kicks has the goods to take on the Hyundai Creta and potentially be more successful than the Captur. It is definitely a good-looking SUV with a decent list of premium features too. But, will it be enough to dethrone the Creta? That is something only time will tell.